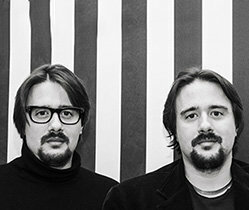 Bibi design is a creative studio founded in Turin in 2014 from an idea of Alessandro Marzio and Eugenio Barra brothers. It is specialized in product design, furniture. Bibi design believes in a responsible, aesthetic and functional design. The studio won the A'Design Award in 2015 with Sella/Sellino projects. "We believe in the values of Good Design, which we put into practice in everyday design. For us design is an altruistic gesture, poetic and responsible. It must be able to raise awareness and dialogue with the surrounding context and to propose new solutions to everyday life problems. Our work is the result of a creative process starting with a clear and concrete idea, sometimes cheeky and irreverent, creating bespoke projects that meet real needs. "